The story behind the farm. Located south of Nashville, Tennessee, Lucky Ladd Farms is a 60 acre farmstead owned by the Ladd family. In 2007, the Ladd's began inviting local school and church groups out to their former home located Franklin, TN. They cherished sharing their wonderful life in the country and giving families the opportunity to visit their animals. In 2008, the Jason and Amy set out on their next adventure, when they purchased their current farm in Eagleville, TN. 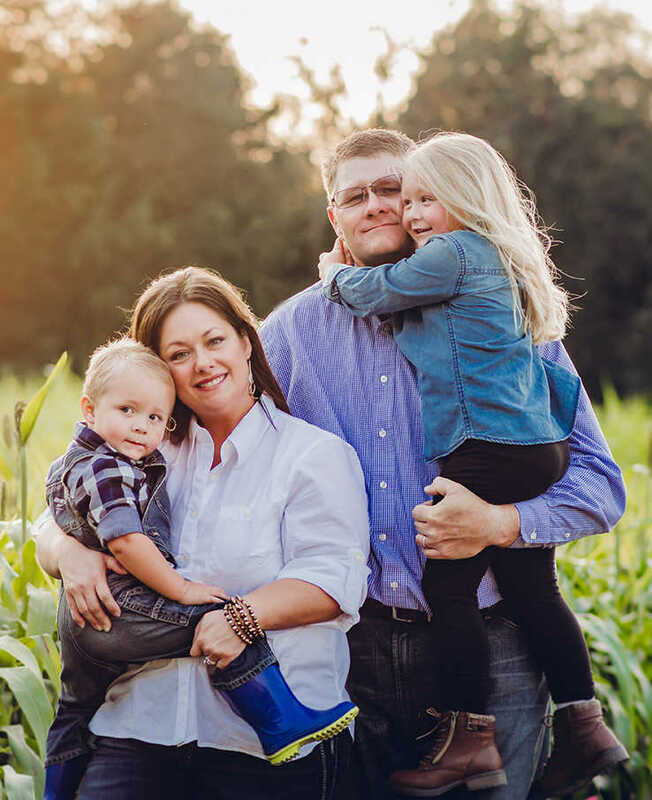 With more land they were afforded more opportunities to grow and reconnect other families to their agricultural roots. From there plans went into motion and they opened Lucky Ladd Farms in the fall of 2009. When asked about the name, it just made sense, as for all of life’s blessings which had been bestowed upon them made the Ladd’s feel like the luckiest people in the world. Today, the Ladd Family is even more excited to continue sharing fun and educational agricultural experiences on their farm with visitors from across the United States and beyond.